'Zippy, smart, well-written ... it manages to be both delicious escapism and refreshingly real' Sunday Times Ireland Everyone who meets her thinks they know Liddy James. A single mother, immaculately dressed, she is one of New York City's top lawyers and seems to juggle her complicated life with ease. Despite her all-consuming work, her devastating divorce, and her two sons to look after, here she is - on top of the high wire. But after a catastrophic incident on prime time TV, Liddy realises the act is over. She decides to take some time off with the boys and retrace her family's history in Ireland. But being marooned in the Celtic countryside is no instant fix, and it is not until Liddy has encountered a stormy neighbour, an unorthodox wedding and a very surprising guest, that she remembers how to be The Real Liddy James . 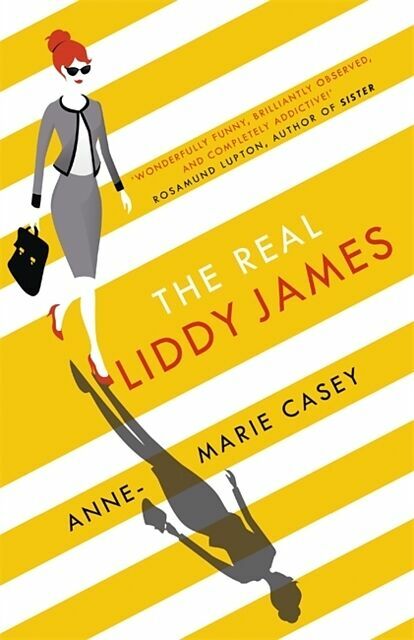 Rife with drama both in and out of the courtroom, infidelity, and more, [THE REAL LIDDY JAMES] is perfect for fans of women's fiction with a dose of travel and a strong-and sometimes flailing-female lead. For fans of "Bridget Jones", comes a hilarious coming of age novel about the lives and loves of a far-from-perfect modern superwoman. Although to the outside world Liddy James' life seems perfect, a series of glitches turns it upside down.